When I first saw this patio featured in House Beautiful, I fell in love. 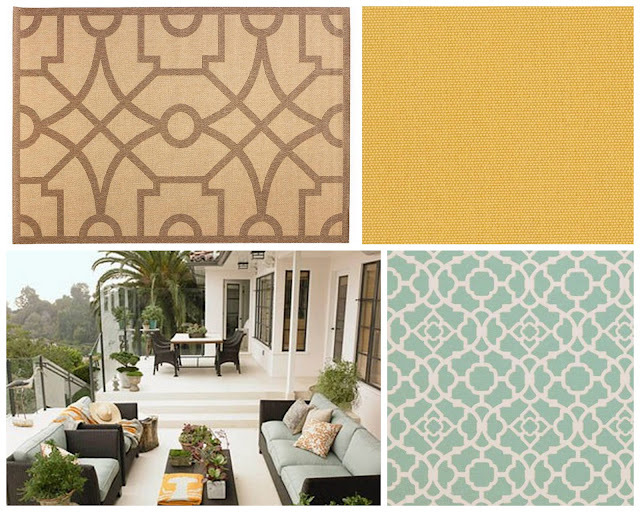 I knew immediately that I wanted my patio to have this same calming color scheme. About a month ago, I found a great deal on a patio set including a table, two chairs, two ottomans and a loveseat bench. Unfortunately, the cushions came in a taupe color instead of this seafoam blue shown above. No problem. 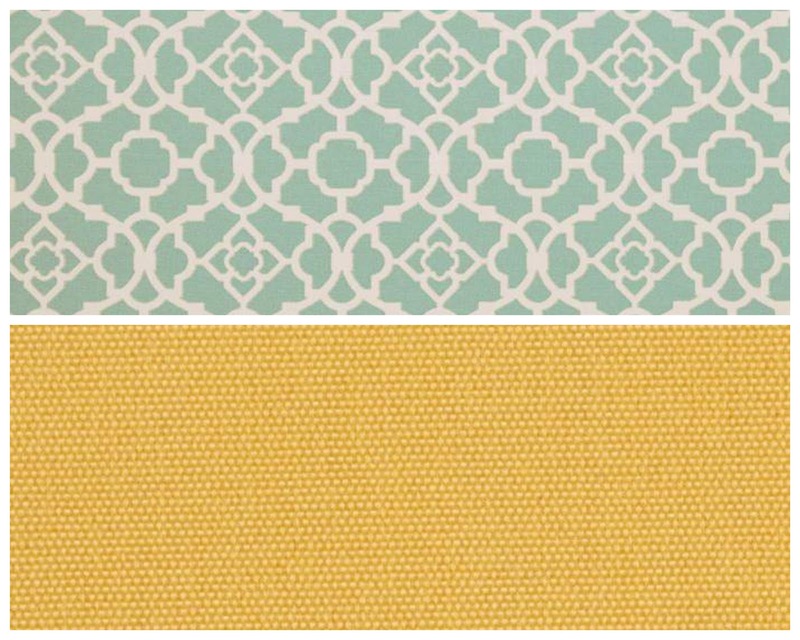 I took to fabric.com and found myself some coordinating fabrics that will bring in just the right colors for very little cost. Pillows are a very inexpensive way to add color and interest to any space. And if you can sew them yourself, you'll definitely get more bang for your buck. 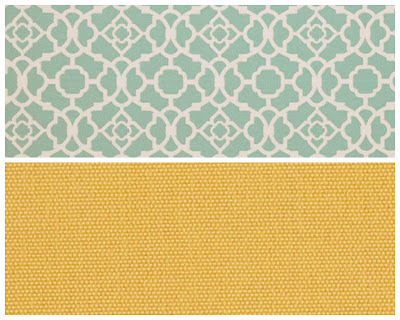 The top print is called Waverly Sun N Shade Lovely Lattice Lagoon and the bottom is Richloom Solarium Outdoor Solar Buttercup. 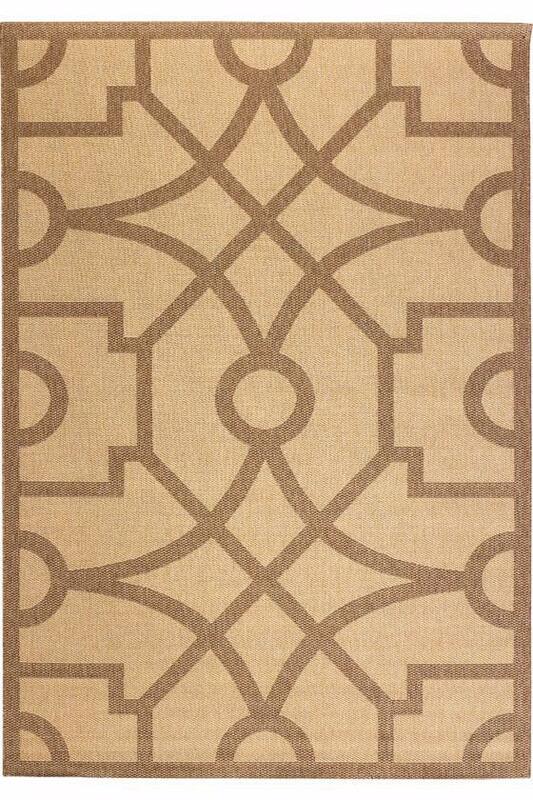 I'm also going to purchase this fretwork rug by Martha Stewart (I'm waiting for it to go on sale). Our house is white and the concrete on the patio is in a light cement as well so we desperately need something on the ground to warm up the space. 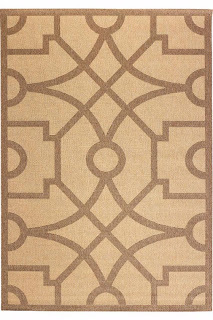 I think this rug will offer a great solution, and it's neutral enough that I can use it for years to come even if I change my fabric choices. Overall, I think the space will be a warm and inviting retreat on summer nights. I can't wait for it all to come together!